Hello, This is Terry Kelhawk welcoming you to my own blog. 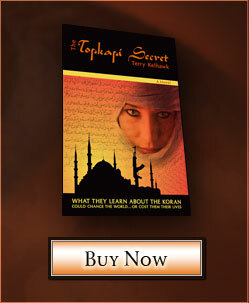 Keep coming back to discover more about the exciting world of fact and fiction in the wide range of subjects touched on in The Topkapi Secret. Feel free to share your questions and comments with me too.